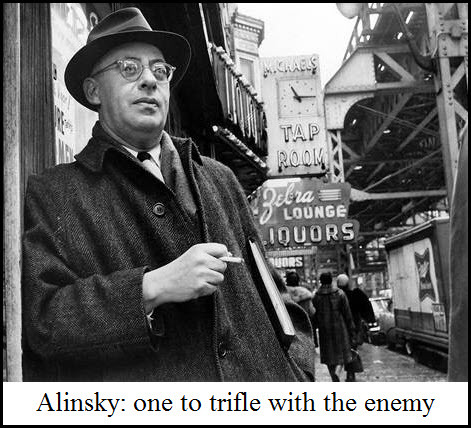 How Would Saul Alinsky Have Handled ISIS? it did, would lack the take-no-prisoners mindset required to exterminate an enemy as savage as ISIS. More likely is that Obama’s politically calculated four-point plan will strike not fear, but contempt and disdain in the hearts of the enemy. It will soothe their febrile brains like poetry from the Rubaiyat, perhaps inspiring them to believe that planting ISIS’ flag on the roof of the White House lawn is not such a crazy dream after all. This post was published at Rick Ackerman BY RICK ACKERMAN ON SEPTEMBER 15, 2014.